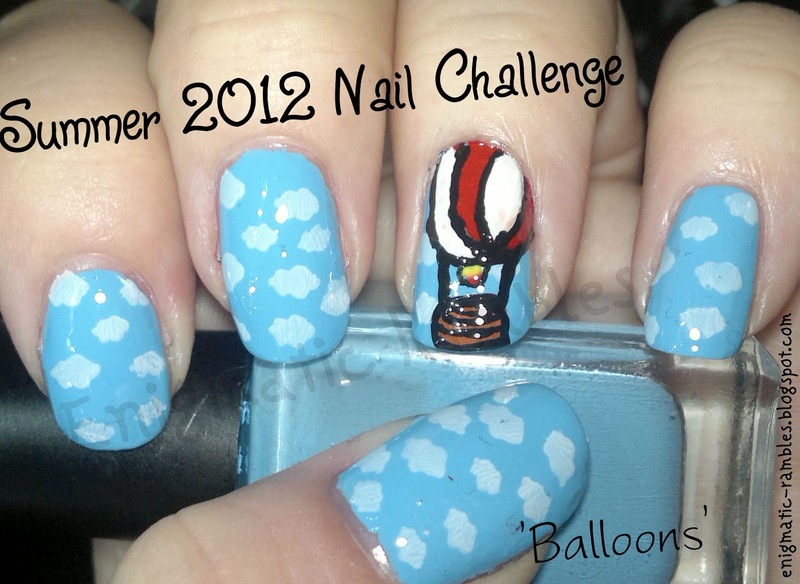 Challenge today was to do something to do with balloons or kites. I was initially thinking of children's balloons but after asking the other half what he thought he came up with an air balloon, which I didn't even think of! Aw I love the clouds! I've seen loads of these nail challenges, but none have included clouds so far :) Very original! It was just a stamp but think it really helped it look like a sky.